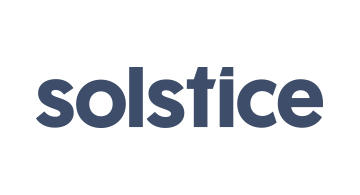 Solstice is a digital innovation firm that helps Fortune 500 companies seize new opportunities through world-changing digital solutions. As strategists and consultants, we help organizations evolve their digital strategy to solve mission-critical problems. As designers and developers, we build incredible hardware and software solutions that transcend a standalone product and transform an organization’s relationship with its customers. As instructors and coaches, we help companies transform from the inside out by adopting a high-speed culture of innovation. We’re strategists, researchers, designers and engineers hell-bent on changing the way the world does business. We’re headquartered inChicago and have delivery offices in New York, London, and Buenos Aires. For more information, visit www.solstice.com.